"This is starting to freak me out… None of this makes any sense." 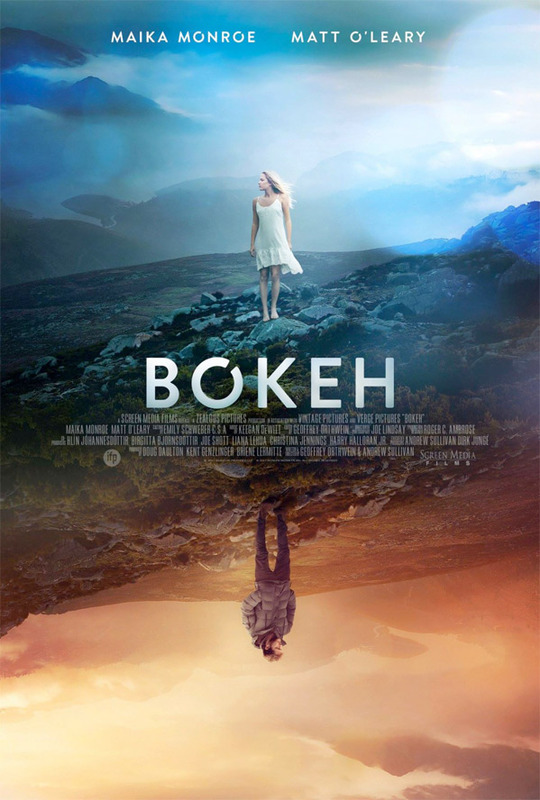 Screen Media Films has unveiled a trailer for a mysterious low-key sci-fi titled Bokeh, starring Maika Monroe (from It Follows, ID: Resurgence) & Matt O'Leary (from Live Free or Die Hard, The Lone Ranger) as a young couple on a trip to Iceland. After exploring around, they wake up one morning to discover that everyone is gone. They attempt to figure out what happened and start wondering if they're the only ones for a reason. The cast includes Arnar Jónsson and Gunnar Helgason. This looks pretty cool, I'm always intrigued by sci-fi like this. Have to check it out. On a romantic getaway to Iceland, a young American couple (Maika Monroe & Matt O'Leary) wake up one morning to discover every person on earth has disappeared. Their struggle to survive and to reconcile the mysterious event lead them to reconsider everything they know about themselves and the world. Bokeh is written and directed by filmmakers Geoffrey Orthwein & Andrew Sullivan, both making their feature directorial debut with this film. This has yet to show at any film festivals or markets. Screen Media Films will release Bokeh in select theaters starting March 24th, 2017 this spring. Curious about seeing this film?